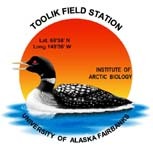 The Biocomplexity Station, now known as the Tussock Station, was established in 2005 to measure landscape-level carbon, water and energy balances at Imnavait Creek, Alaska. The station is now contributing valuable data to the AON project that was established at two nearby stations. These will form part of a network of observatories with Abisko (Sweden), Zackenburg (Greenland) and a location in the Canadian High Arctic which will provide further data points as part of the International Polar Year. This particular part of the project focuses on simultaneous measurements of carbon, water and energy fluxes of the terrestrial landscape at hourly, daily, seasonal and multi-year time scales. These are the major regulatory drivers of the Arctic climate system and form key linkages and feedbacks between the land surface, the atmosphere and the oceans. We will provide a comprehensive description of the state of the regional Arctic system with respect to these variables, its overall regulation and controlling features and its interaction with the global system. See the file 2015_IC_1993_metadata_20151231.csv for data collection statistics.